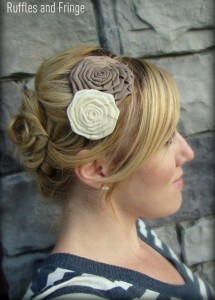 Handmade Flower Headbands - Oh So Girly! 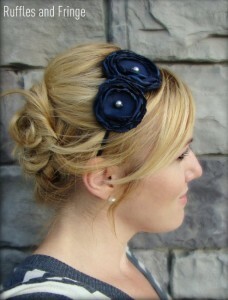 Nothing says elegance like the right hairstyle and hair accessories. 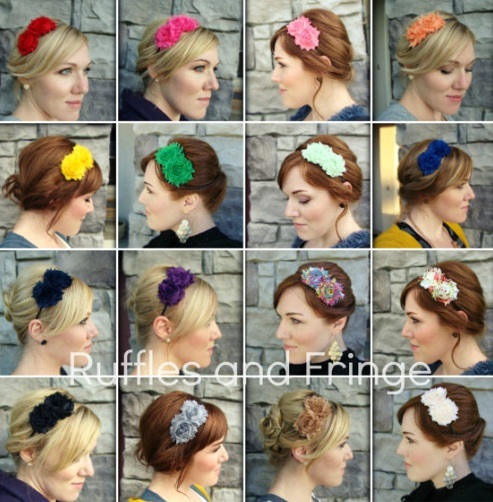 Nicole, creator of Ruffles and Fringe creates beautiful handmade flower headbands that can add the finishing touch of feminine stylishness to an outfit, with a shabby chic, vintage feel. I can definitely image these flower headbands looking gorgeous for occasions like weddings, birthdays and proms, or even on a regular day when you’re feeling fancy! 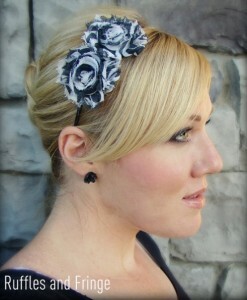 Check out Nicole’s Etsy store, Ruffles and Fringe for more pretty floral headbands. Thank you so much for the lovely feature! I am so glad that you like my headbands.